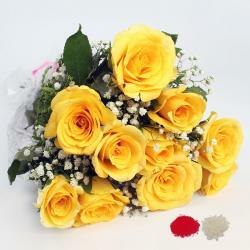 Product Consists : Basket arrangement of 15 Yellow and White Flowers along with Free Roli Chawal. Brother is one of the most precious gift sent by God for all Sisters. If you are looking for a blissful gift for your dear than this is a hamper that will make him smile from the core of the heart. This is a hamper overloaded with auspiciousness and happiness. 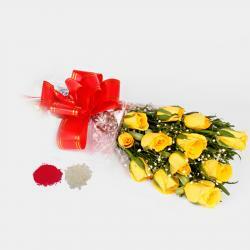 The arrangement presented to you by Giftacrossindia.com comprises of dual color flowers. 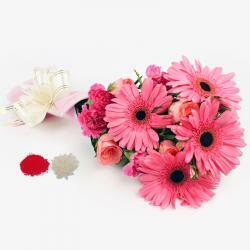 No one can really dispute the appeal of flowers arrangement. 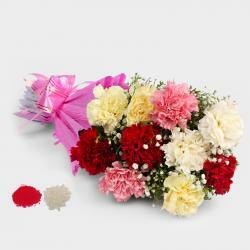 This gift pack contains dual flowers of these ravishing flowers in a basket for company. It is a Celebration of lovely relation of a brother and a sister. 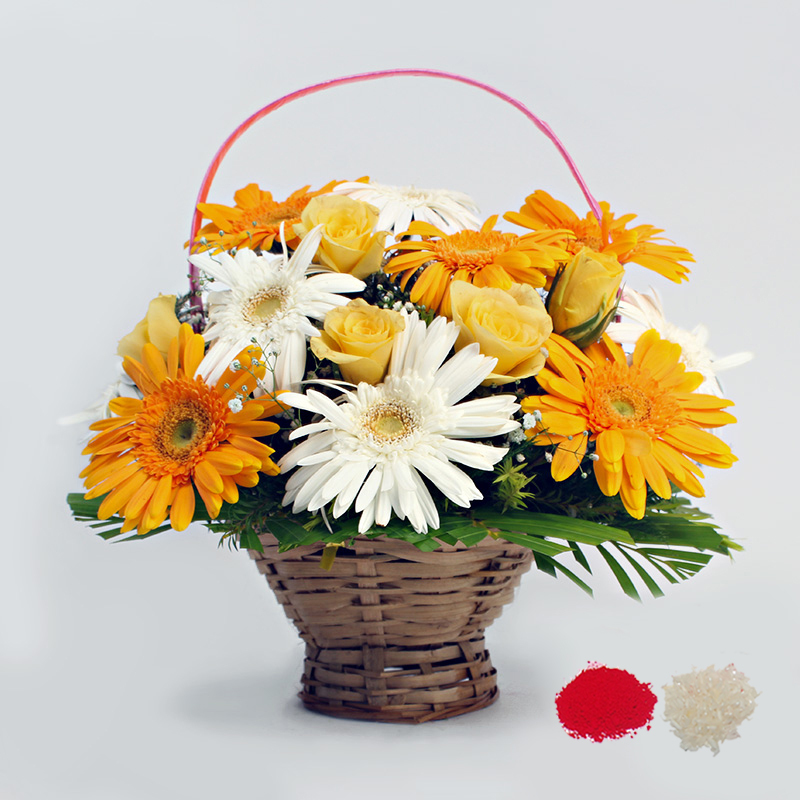 Product Consists : Basket arrangement of 15 Yellow and White Flowers along with Free Roli Chawal.